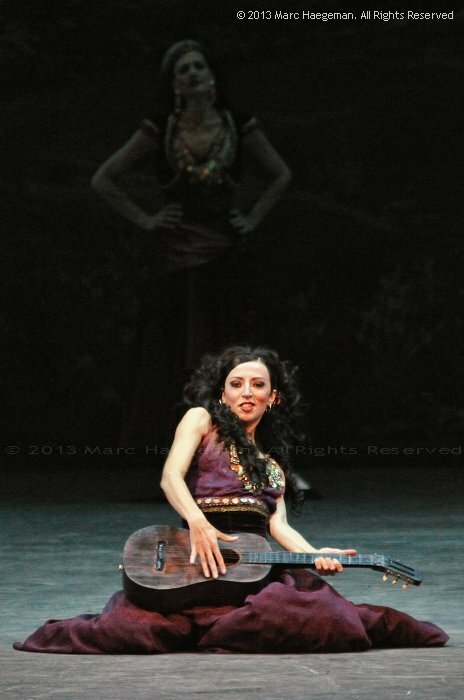 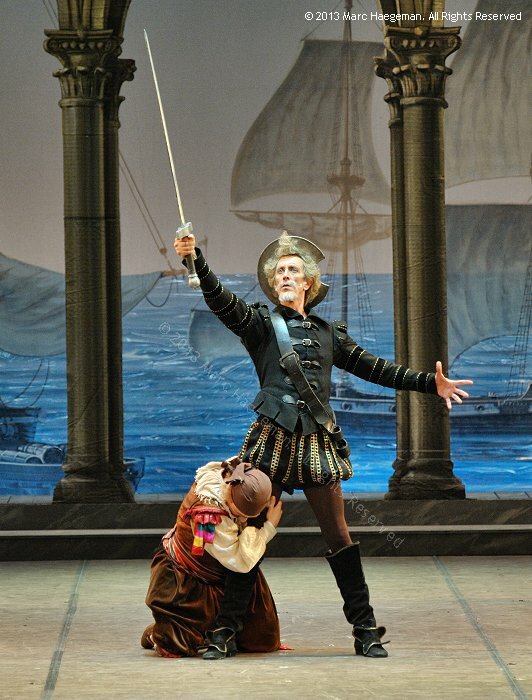 Photo selection from Rome's Teatro dell' Opera production of Don Quixote. 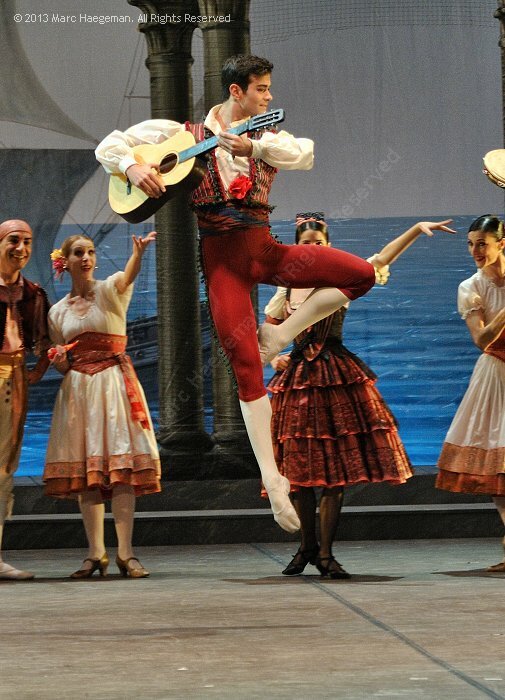 The traditional choreography from Marius Petipa and Alexander Gorsky was staged by Mikhail Messerer. 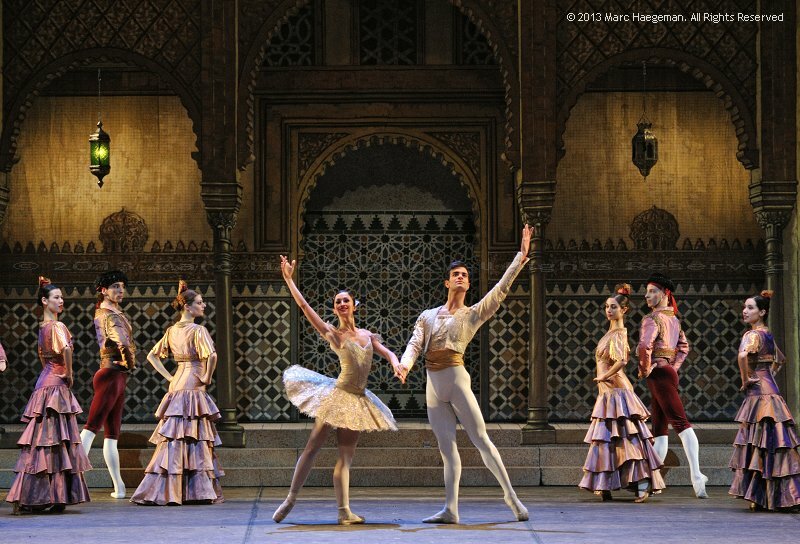 Sets were designed by Francesco Zito and Antonella Conte, costumes by Francesco Zito. 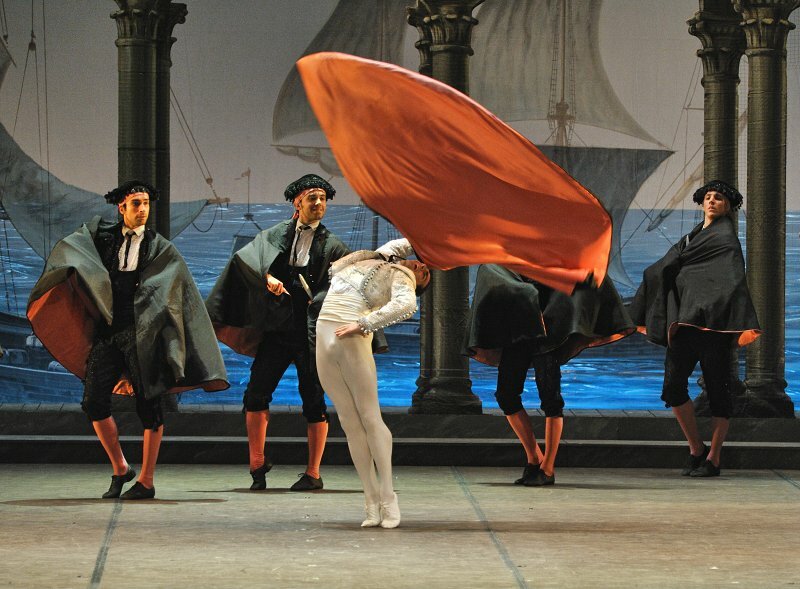 Lighting by Agostini Angelini. 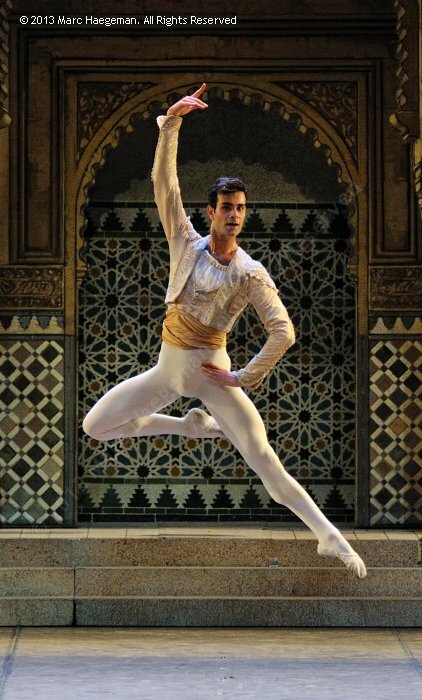 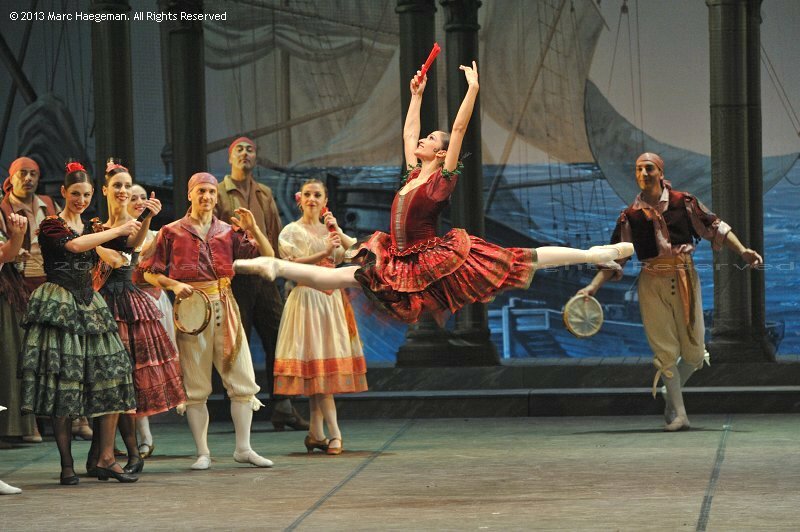 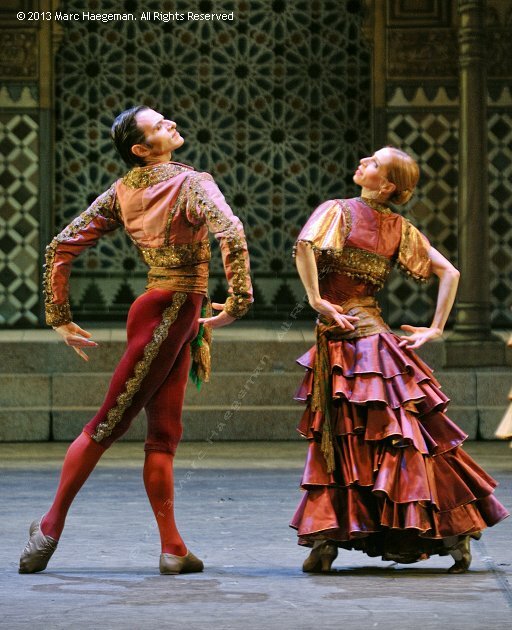 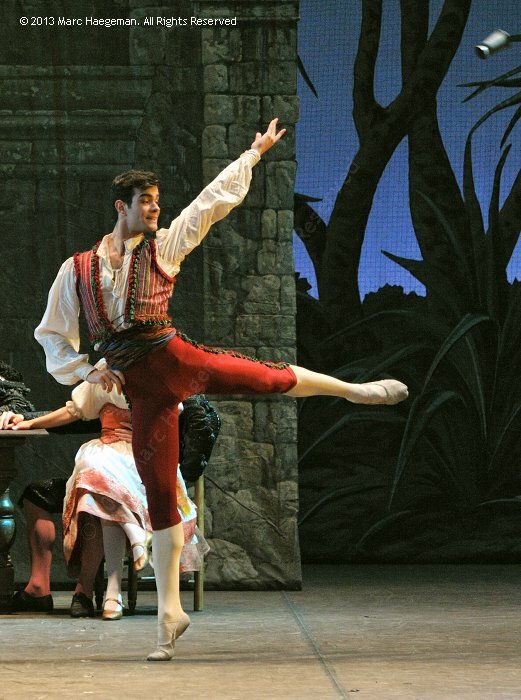 The cast of this revival from 5 January 2013 included Alessandra Amato as Kitri, Vito Mazzeo (from San Francisco Ballet) as Basilio, Mauro Murri as Don Quixote, Antonello Mastrangelo as Sancho Panza, Giuseppe Depalo as Espada, and Marianna Suriano as the Queen of the Dryads. 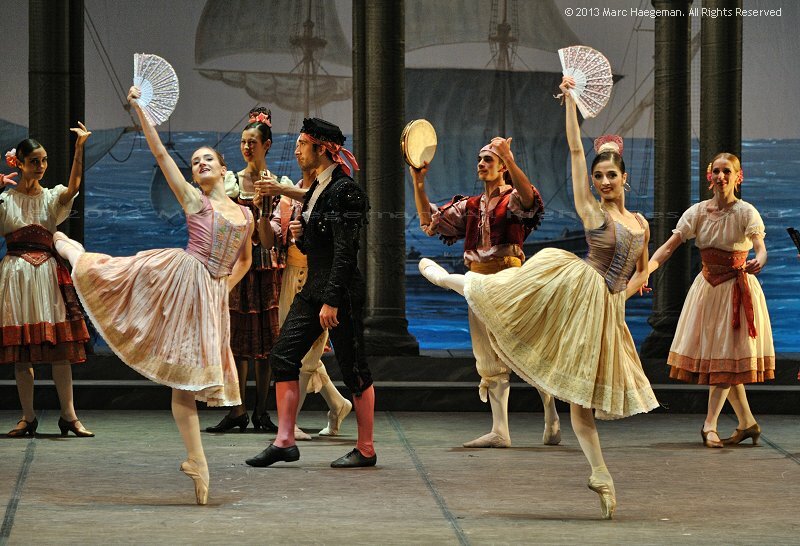 With special thanks to Filippo Arriva and Cosimo Manicone of the press department of the Teatro dell' Opera.